Speaker 3: But, if you can go, they sent me a link for 50% off your door fees. 50% off to get inside the show, so they said I could share it with people, so I'm going to stick it in the description down below. Why would you pay full price when you can get in for half-price? Anyway, let's go check out some cool tools and innovations. Speaker 3: Alright, guys. This one is so new, it hasn't even made it to the GIE yet. In fact, this is the first time anybody's actually ever seen this thing. Yes, it's a Toro Dingo, but it's not like your normal Toro Dingos. It actually has an extendable set of arms, plus this Dingo can lift 2000 pounds, meaning that it can take a full set of blocks, pick it up, and load it onto the opposite side of a truck. But, that extendable arm gives it even more capability. You can take those forks off, put on a bucket, and now you can use this Dingo to load a dump truck. Speaker 3: Plus, this Toro Dingo has a universal quick attach system, which means you don't have to go out and buy a unique set of tools just for this Dingo. If you guys run skid loaders and you have a set of grapple forks or a bucket or pallet tines, whatever you have for your skid loaders will fit right on the front of this Toro Dingo. Speaker 3: Now this is an intriguing design on a lawn mower. It's designed for slope stability and also to help you go through wet, soft ground. I have tried to reach out to Altoz on a number of different occasions to get more specs, pricing, just more information for you guys, but unfortunately the truth is they've never actually responded to me. So all I've ever gotten back is crickets. I wish I could tell you guys more but maybe in the comments down below there's people that have experience with these things and they can share what they know about this company down below. So if you guys are interested, check out the comments down below and hopefully you get more information there. Speaker 3: Alright guys I'm gonna jump in here, give a little bit of a spoiler alert because at the very end of this video we teamed up with Milwaukee Tools, Electric Paw, and Jobber to put together an ultimate landscape starter packet to help noobs that are just getting into the business get all the tools, education, and training they need to absolutely rock it. It's at the very end of this video so you gotta watch the whole thing, or I guess you could just skip to the end to find out how you guys could be on of the five people that get over $3000 worth of tools, education, and training. So make sure you guys watch the entire thing. Speaker 3: Alright next up, welcome to the world of hover mowers. Now this technology's been around for a long time, but they keep making changes and improvements. Now this brand is by California Trimmers and they use a Honda mower. Now, there is a myth out there that you can actually take a hover mower over the top of water. And I know it's a myth because I actually tried to do it and it totally doesn't work. Speaker 3: Alright, so you guys have said these hover mowers can even float on water, I don't think you're right. Speaker 3: Now one of the most important things you can do while attending the GIE and checking out all the tools is to attend an educational breakout session. Some of the greatest speakers come from all over to give presentations here, but you can expect to pay some pretty big price tags to see them speak. 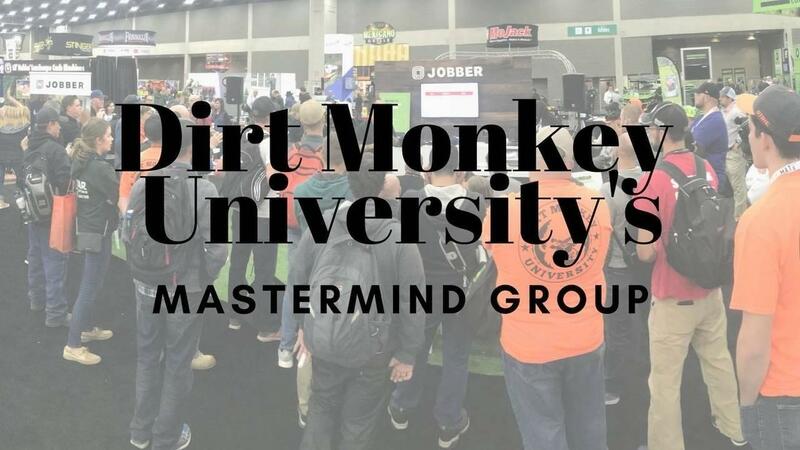 Now if you wanna come by the Dirt Monkey booth at 11:00 every single day, Phil, and Kali, and I are going to be doing break out sessions on the Top Ten Mistakes Contractors Make, How to Recruit and Find the Best Employees, and other topics that people want to here. But it is absolutely free because we just wanna help you guys out. Speaker 4: Your income statement, your balance sheet, your cash flow statement, how many of you are looking at that every single week? Every single month? Speaker 3: Now this one's going way back from three years. This is called a Shadow Blade and it's made by Kage Innovations. Now I don't know if they still make them, but if I owned a tractor, this is one of those things that I would definitely want to consider for commercial snowplowing. Speaker 3: Now there's one thing that seems to stay consistent about the GIE: it always rains the weekend of the event, which actually makes it a lot of fun to go run heavy equipment out in the yard. Now this company's called Avant. I don't even know if I'm pronouncing it right, Avante, Avant, I don't know. But here we can see them in action, and in a moment you can see somebody get one pretty darn stuck. He's calling for help. I think he's the only person that's ever got something stuck at an expo. Speaker 3: Hey guys I just wanna remind you to stop by our booth or the Case booth outside and pick up a free t-shirt. And if you wear the free t-shirt Case is actually gonna be walking around handing out $100 bills. So make sure you keep that sucker on 'cause you may end up with 100 extra bucks in your pocket. Speaker 5: Stop! [inaudible 00:08:31] That's so awesome! Speaker 3: Alright we're gonna be looking at the Saw Easy-Start by Makita. This is a pro grade saw. Check out how hard he has to pull this to fire this up. Speaker 6: Again I'm just gonna give a small, slow pull, almost try not to start it and let's just see how that goes. Just give it [inaudible 00:08:51] No more yanking your shoulder off. Speaker 3: What were looking at is a battery powered block lifter using a Milwaukee battery. And it will pick up the block how many times? Speaker 7: That block right there, 130 times before it needs a recharge on a 5 amp hour Milwaukee battery. Speaker 3: And then a 9 amp hour will go how much? Speaker 7: It'll go half a day. Speaker 3: Half a day. Speaker 3: Can you guys pick that up once? Now this is battery operated. Go for it, pick that up. Show 'em, let's do this. Speaker 7: This is the other one here. This is the stand alone. Speaker 3: Guys this is actually running right now. Listen to the noise. This is a battery powered backpack blower. It's battery powered right? And its operating underwater for the entire time that this expo is going on. Oregon. Speaker 3: Alright, that is like the ultimate vacuum cleaner right? Speaker 3: Do this section right here. Haaga that up. Haaga it up brotha. Let me see the bottom. Speaker 3: Love 'em or hate 'em, robotic mowers are here. This one's made by STIHL and what it's doing right now is it's going into its self-docking station and recharging before it goes back out for another round. Speaker 3: The most unique innovations at the GIE and this is one of my picks right here. This is STIHL's brand new TS 440. If you guys have used a chop saw before, a concrete saw, you know that your standard concrete chop saw gyroscopic forces in action, and you have a limited amount of applications you can do because of the position of the guard blade. The new TS 440 has reduced the gyroscopic motion in nearly half. Now don't quote me you can go to their spec sheet and find out for sure. But they've also done something very unique, they've allowed you to put the guard blade all the way back. Speaker 3: The danger of this guys, the reason that they've always been fixed, is because if you kick it back it will cut you in the skull. But, they have a motion sensor inside the saw that if it kicks back it automatically brakes. Now why would you care that the guard blade is in this position? If you have to cut pipe underground, typically you would have to dig all the way underneath to make a typical get underneath to do it. With this saw you don't have to do that. You can literally go just like this and work your way all the way around a pipe. This I think is going to be absolutely an amazing tool for underground utility companies. Speaker 3: So what do you call these tires? Speaker 3: Tweels. So you've got front and rear tweels. You outfit them on just about any mower, right? Speaker 9: We can't say specifically, but we do have a couple sizes available. Speaker 3: [inaudible 00:12:52] Well, mkay not really. This is a robotic slope mower, but it's not really robotic. The operator, you just don't see it 'cause he's standing safely down at the bottom of the slope instead of riding the lawn mower on the slope. So there's no jobs taken with this robotic slope mower. It still takes a human to operate it. Speaker 10: Don't put me on camera! Speaker 3: Just this once. Speaker 3: And last time. Speaker 10: This is my sweaty, walking, no makeup look. Turn me off. Speaker 3: That's what I fell in love with you for. With this sweaty, walking... Okay! Speaker 10: That was a lot of words. Speaker 3: Okay. Milwaukee Tools and Paw, the electric wheelbarrow people, and Jobber, and these guys have a computer system program that helps contractors do their routing, billing, invoicing. And then they're also sponsoring five scholarships to Dirt Monkey University for a year. All these companies came together to create the ultimate- It's not really a giveaway it's more like a scholarship. So the people could go to Dirt Monkey University and go onto the main page and apply for the scholarship and five people are gonna get a chainsaw, blower, trimmer, hedge trimmer, electric wheel barrow, year to Jobber, and- Oh, hi Cliff. And also Dirt Monkey University for a year. Does that make sense? Did I say that right? Speaker 10: What'd you say? Speaker 3: Oh my god. Okay, chainsaw, blower, trimmer, hedge trimmer, wheelbarrow, year subscription to Jobber, year subscription to Dirt Monkey University. Landscape starter package scholarship. Speaker 3: Okay, now can you tell everybody what they get? Speaker 10: I don't wanna be on it. Well, it's in there. They get everything in there. Speaker 3: Okay, plus more. Speaker 10: Chainsaw, blower, what's that another saw thing? Trimmer? Speaker 10: Hedge trimmer, it's a trimmer. Wheelbarrow that's electric, those are cool. Speaker 3: You like that one don't you? Speaker 10: I really like that one. Speaker 3: Yeah I do to. Speaker 10: A year subscription to Jobber, and a year subscription to Dirt Monkey? Speaker 3: Right and Jobber, so Jobber actually sponsored this scholarship to Dirt Monkey University and to Jobber, and Milwaukee Tools stepped up and gave away, that's gotta be at least $1000 worth of tools they're giving out. And then Paw stepped up and giving away this wheelbarrow which is worth $800 to five people. Speaker 10: So it's gonna be on there? 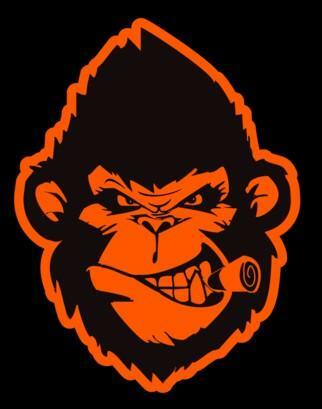 So you go to Dirt Monkey University and there's gonna be a little thingy that says scholarship program? Speaker 3: Yeah, and it's to help five new people get started with their landscaping business. Speaker 10: That's pretty cool. Speaker 3: Yeah, I thought so. Speaker 3: Alright, well thanks for helping me tell people about that. Speaker 10: Yeah thanks for letting me know I was gonna do that ahead of time. Yeah, like usual. Thanks. Speaker 3: I love her. She puts up with a lot. Can I buy a Jeep? Speaker 10: Get rid of the Mustang. Speaker 3: Wait a minute. What? Speaker 10: You don't need the Mustang. Speaker 3: Not a chance. Speaker 10: Well then we have too many cars. You already have two, and the motorcycle. Speaker 3: She wants me to get rid of that? Speaker 10: You never drive it. Speaker 3: I don't drive it for a reason. That's my favorite. Speaker 10: Oh my god. What is that? Why is it pink and fluffy? Speaker 3: Put your hand on it. Speaker 10: That doesn't stink. Speaker 3: Smell it again. Speaker 10: Why? No you're gonna flop in my face! What is the deal? That's not gonna go down the sink. Speaker 3: This is what happens when you have teenage daughters. Speaker 10: Oh god. Interesting. I don't know. Speaker 3: I came into the bathroom and stopped dead in my tracks when I seen this. Speaker 3: That's hilarious! Seriously this is... Hopefully it cleans up good.